During a recent trip to New York, I almost put my back out lugging home hand luggage brimming full of fashion magazines and coffee table books. 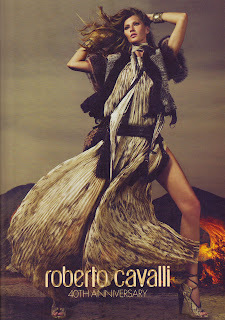 One of the books that I picked up along the way was Roberto Cavalli's book celebrating his 40th year in fashion. The book photographed by Mert Alas & Marcus Piggott features 84 decadent images of some of modelling's biggest names including Cindy Crawford, Kate Moss, Gisele Bundchen, Karolina Kurkova, Carolyn Murphy, Angela Lindvall, Heidi Klum, Maria Carla Boscono, Natasha Poly, Joan Smalls, Liu Wen, Lara Stone and Daria Werbowry. The retrospective of classic, rich Cavalli signature looks get the midas touch by stylist Marie-Amelie Sauve with art direction by Fabien Baron. 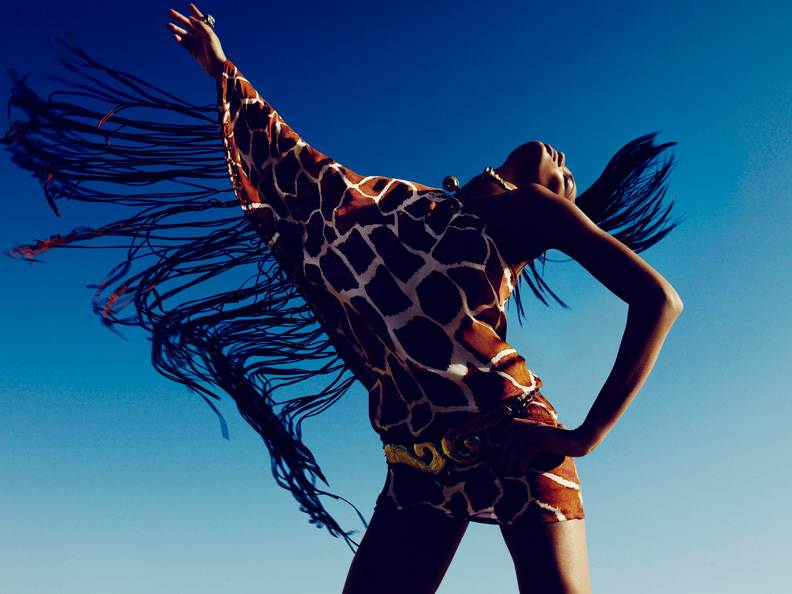 In his foreword, Cavalli sums up the book's motif, "It is a journey into my world, and my way of seeing women. 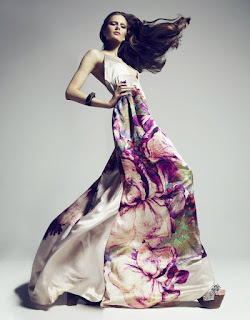 Women, for me, are undisputedly the focus of beauty and sensuality."